Echoing the artists’ projects presented throughout the programming year, the theme Horizon libre evokes a territory and future in transformation. While some artists approached the theme with reflections on displacement, immigration and identity, others read it through the lens of environmental threat. Horizon libre also evokes the idea of free electrons and free spirits, and that of the deep unpredictability of our era. Having over the past year been witnesses to dramatic changes in the political and humanitarian spheres, and to language sometimes approaching insanity, we at Skol, in a spirit of optimism, have chosen to describe the horizon as being free, and, in so doing, invoke other directions of change. 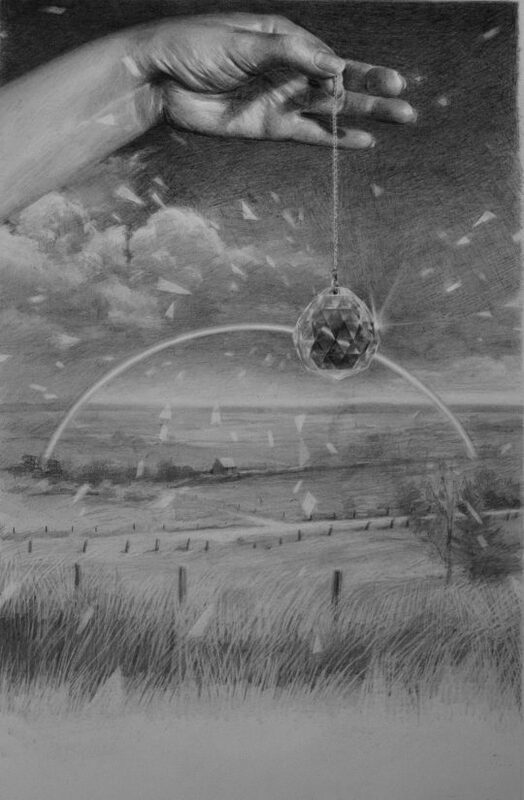 Image credits: Searching for a Heart of Gold, Kristi Ropeleski, graphite on paper, 2017.